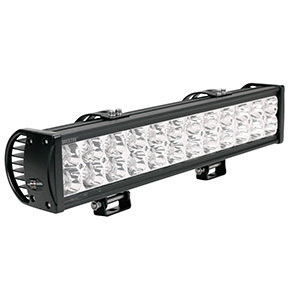 A 30-inch LED light bar makes a perfect fit for smaller vehicles, ATVs, UTVs, tractors and even heavy equipment. Plenty big enough to provide night-crushing amounts of illumination, this size is highly versatile with regard to mounting options. They work great in a grill, below a bumper or as an overhead beam on a vertical swivel. They provide maximum impact on most UTVs or ATVs. Mount one on front and one on back for maximum illumination and visibility. It is a handy size for watercraft navigation as well. This 30 inch LED light bar in Black Oak’s arsenal of top-performing dual-row light bars is built solid as a rock to take on harsh vibration, impacts and extreme environmental conditions. It has achieved the highest intrusion rating possible: IP69K. Sixty OSRAM LEDs in 3W or 5W versions deliver 50,000 hours of continuous light from peak-optimized control circuitry. Enjoy an industry-leading 33,000 lumens of dark-busting illumination from this top-rated light bar. 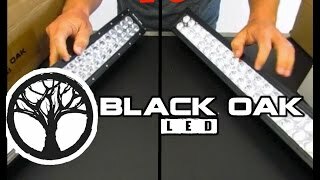 Black Oak LED lights deliver the most light for your buck of any top-rated LED light bar manufacturer. With 5W OSRAMs, this 30-incher outshines many longer light bars. The spot version is incredibly piercing, but for on- and off-trail, the combo pattern is best overall. If your Chinese knock-off light is not cutting it on dark, dusty trails, then upgrade to a Black Oak LED light bar with competition-busting performance that does not bust your wallet. Their 30-inch LED light bar is worth every penny and bright as heck. It is backed by a no-questions-asked guarantee and lifetime warranty. Rough Country’s slim, single-row 30 inch LED light bar provides 12,000 lumens with a beefy 30-degree spot that lights trails hundreds of feet ahead. Thirty 5W high-intensity LEDs draw under 11A of current to produce night-splitting brightness. This light bar is IP67 rated and supplied with end brackets plus sliding bottom mounts. It has a complete wiring harness and a 3-year warranty. Rough Country’s 30-inch light bar is beyond sleek with a profile under 2 inches. Until you flip the switch, it is virtually invisible mounted within a truck grill. Buyers are generally astounded by how much light this single-row bar puts out. For style, performance and affordability, it is hard to beat the Rough Country 30-inch light bar. It supplies more than enough light and durability for late-night trail cruises without blowing a hole in your off-road lighting budget. Rigid’s single-row SR-Series 30 inch LED light bar utilizes patented Hybrid Optics to balance extreme distance illumination and wide-area coverage. The rugged A360 extruded aluminum, powder-coated housing uses a scratchproof polycarbonate lens and a custom neoprene seal for an IP68 intrusion rating. The SR-Series delivers the gloom-busting brightness and a slim profile look. Rigid’s engineering and experience produce some of the most efficient and rugged lights on the market. 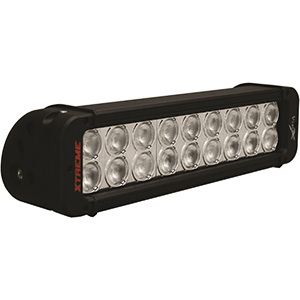 The 93031 single-row combo light bar features a long-reach center spot and daylight-like illumination of road sides. Buyers rave about the fit, look and palpable quality of these light bars. With nearly 12,000 lumens, this single-row 30-inch light bar shines brighter than many dual-row bars. There is no sleeker, more durable, single-row light bar anywhere. Find out why Rigid is such a respected brand in off-road and commercial applications. The price is substantial, but so is the value. The Baja Designs 47-3003 Stealth 30 inch LED light bar features a market-leading 1.6-inch profile for minimal wind resistance and tight space fit. It delivers 12,600 lumens of dazzling brightness from 30 top-bin CREE XP-G2 LEDs housed within aircraft grade, anodized machined aluminum. Their unique CopperDrive technology delivers 100 percent current while ensuring 50,000 hour longevity. The IP69K housing withstands submersion, dust and extreme temperatures. This lightweight, ultra-low-profile light bar vanishes in a grill installation until you turn it on. It comes in black or camouflage for the utmost in stealth. 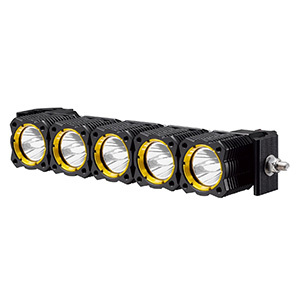 Only top-bin XP-G2 CREE LEDs are driven by robust electronics and oversize heat sinks built into the case. This light bar is likely to outlast your vehicle. No other manufacturer surpasses the build and component quality of a Baja Designs light bar. Their 20 years of experience building racing lights for the harshest routes permeates every product they make. You pay top dollar, but obtain the highest performance and reliability possible. 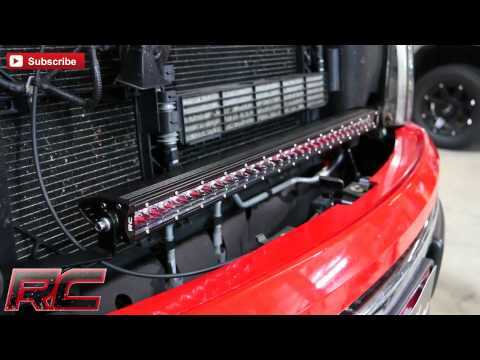 Mictuning is an economical LED light bar maker with higher standards than most. Their dual-row 30 inch LED light bar with combination spot-flood pattern puts out 250 raw lumens of trail flooding brilliance per CREE LED for a total of 15,000 lumens. This light bar sports a black or white die cast aluminum housing with an IP67 rating for moisture and dust plus a sturdy polycarbonate lens. 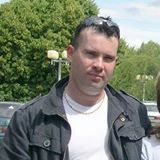 BC21801 and BC21802 models are spot-only and flood-only versions. Mictuning is a cut above most budget LED light bar makers. Their products regularly garner 4.5/5.0 stars in buyer reviews. 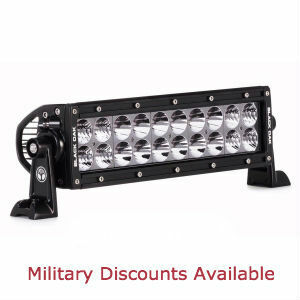 This 30-inch light bar has an exceptionally tight spot section compared to its price competitors. Whereas many economy light bars do not include a harness, Mictuning supplies a long cable, fuse, relay and lighted switch plus an easy-to-follow wiring diagram. The low price of this 30-inch LED light bar from Mictuning is aimed at first-time or occasional light bar users. It is rugged enough for trail use, bright enough for the darkest nights and is a terrific value backed by the 2-year full replacement warranty. If you want bright but not budget bite, Mictuning’s 180W combo light bar is an excellent choice. 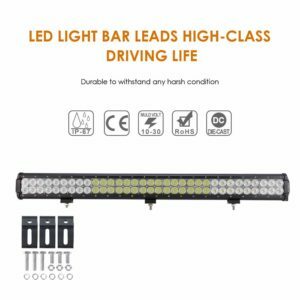 Auxbeam is known for high-quality, well-designed LED light bars and its 30-inch, dual-row, 198W, Cree LED barproves that. 19,800lm light your way from 66 high-intensity 3W Cree LEDs with a gloom-crushing center spot and two flood sections. Toughed glass over a hardened aluminum housing with deep cooling ribs furnish shock and impact resistance with an IP67 rating against dust, ice and moisture. Each LED’s reflector/projector optics optimizes beam coverage to eliminate dark spots and improve beam reach. If you need that extra oomph over a 20-inch light bar, this Auxbeam product does the job. It is literally a night to day comparison with stock headlights. Unless you roll your own, get the sold-separately Auxbeam LED light bar wiring harness with 40A relay. Well under $60, this is an awesome buy to solve your vehicle’s or equipment’s inadequate forward lighting. The darkness melts away under its potent bright-white beams. It handles bad weather and the shocks of bumpy roads without flicker or moisture intrusion. 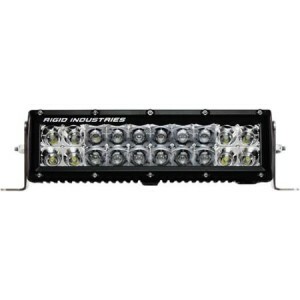 A 30-inch LED light bar is halfway in brightness and price within most manufacturers’ product lines. The length allows mounting versatility and plenty of brightness. EMS and public service vehicles love this LED light bar length for scene and worksite illumination. Expect around 12,000 lumens from a 30-incher, except for the stellar Black Oak 30-inch bar, which is twice that.